Insurance giant Old Mutual Zimbabwe has liberalised its B Class shares that were previously open to trading among locals as part of the company's indigenisation plan. In 2011, Old Mutual surrendered 25 percent of its issued shares to indigenous investors as a way of complying with Zimbabwe's controversial Indigenisation laws. Under the scheme, 11 percent of the shares were awarded to employees, eight percent went to pensioners and 3,5 percent to strategic investors. A special youth fund was also allocated 2,5 percent of the shares. Financial Securities Exchange (Finsec), which listed the Old Mutual shares on its Alternative Trading platform (ATP) in 2016, last week said the stocks can now change hands with foreign investors. 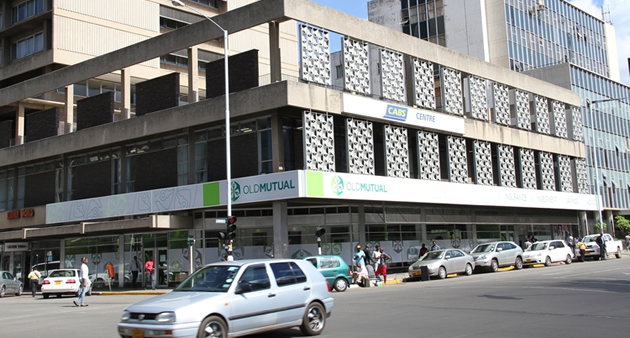 "Finsec would like to advise all capital market participants, the investing public and other stakeholders that Old Mutual Zimbabwe B Class Shares can now be bought and sold by non-indigenous investors," the company said. This follows a decision by Old Mutual to remove the restriction on the trading of its B Class Shares listed on the Finsec exchange.